Super Facialist is a trademark of Brand Architeks Ltd, a brand-building company that produce Good Things and Dirty Works skincare too. As soon as I found this out I was immediately put off because I think brands like that are 90% marketing 10% product quality. I generally try to buy from brands that make and love their products, where the person who developed them works alongside the person that markets them, where the person that puts it in the bottle is employed by the same company that employes the IT guy, and so on. 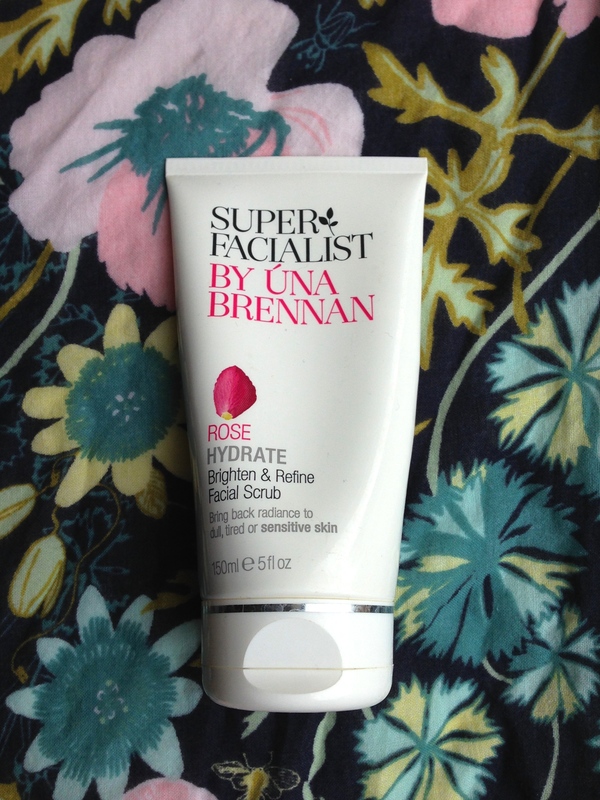 Well, even if Super Facialist isn’t like that, there really was no need to doubt the quality. 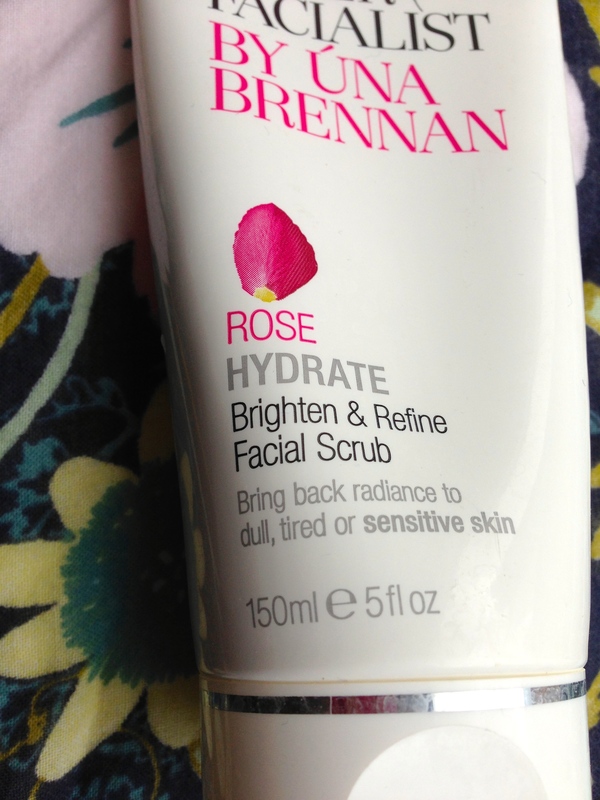 Because this Rose Hydrate Brighten & Refine Scrub is amazing. I spoke a while back about wanting to avoid scrubs, because I felt like they were too harsh and stuff. Ones with apricot kernel fragments I still wouldn’t touch with a bargepole because I remember them from my teens, and hello that’s not microdermabrasion, that’s just plain old abrasion. Yuck. But I did realise, after a week of unbelievably dry skin, that I would need more than just a Konjac Sponge to slough it all off. I spent about half an hour in Boots looking at all the different scrubs before finding this one. The packaging promised to do exactly what I wanted, all while being suitable for sensitive skin! Perfect. It contains menthol, which gives it this gorgeously refreshing, tingly feeling, and I haven’t had any irritation from it at all. My skin has improved in softness SO MUCH. 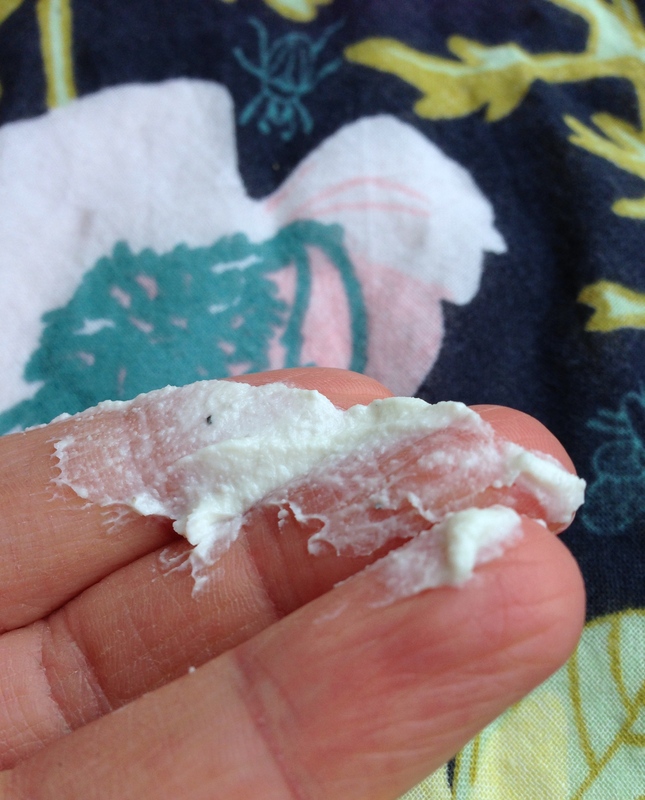 This was what I started using when I gave up cheese, and couldn’t believe how soft my skin had become. I’m incredibly happy with it. Rosewater, mallow, willow bark and geranium, together with the menthol, are an incredible herbal cocktail for improving the skin. Then cocoa and shea butter help to moisturise, while several natural waxes and tiny flakes of pumice provide the exfoliation. You can see how tiny the exfoliating particles are in that photo (the black bits are the pumice). I like to warm my face with water first, before squeezing out just over half an inch (its really thick so comes out in a line). When I massage it in, I do it really slowly and gently, first spreading it over my whole face and then focussing on each specific part, rubbing in small circles. I think this reduces the abrasiveness, whilst retaining all the exfoliating qualities. It also gives the plant extracts a chance to get to work and provide effective care, and lets the moisturisers really skin in and nourish the skin. When my face is nice and tingly, I rinse it off gently with lukewarm water and follow with my Rosehip Oil and an eye cream. My skin is so much smoother, clearer and brighter since I started using this – plus its really affordable, and easily available from Boots too! This entry was posted in Combination skin, Sensitive skin, Skincare and tagged dry skin, exfoliation, Sensitive skin, Skincare. Bookmark the permalink.